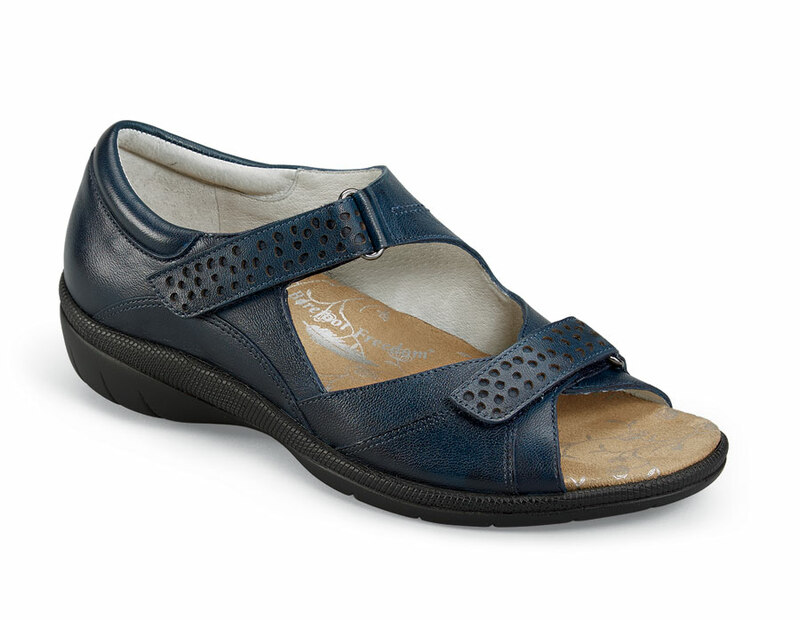 The double-depth navy “Bay” in an orthopedically sound closed heel sandal from Drew's Barefoot Freedom® line. It has leather-lined uppers with two adjustable VELCRO® straps with attractive punched detailing. The thick PU footbed with sueded topcover can be removed for custom orthotics. 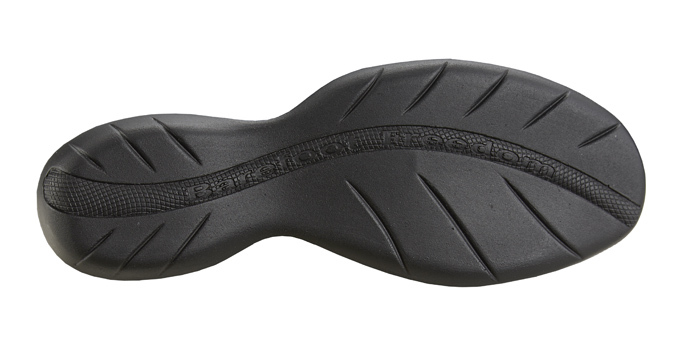 Lightweight molded polyurethane outsole. Originally $164.95. Women’s sizes 6-12 and 13 in 2E width.